Mkvsion HD is a software to monitor real-time and playback. Whenyour Phone using a WiFi or cellular data, can access your device bythe software. Software main features are:1. anytime, anywhereaccess to your device, you can view real-time monitoring and videofiles;2. anytime, anywhere to capture real-time monitoring picture,video and stored on the cell phone;3. receive your equipment alarmmessage and push to the software;4. ultra low bit-stream, multipicture monitoring, voice intercom, digital zoom;5. centralizedmanage all your video surveillance equipment. L-Vision is a software to monitor real-time and playback. When yourPhone using a WiFi or cellular data, can access your device by thesoftware. Software main features are:1. anytime, anywhere access toyour device, you can view real-time monitoring and video files;2.anytime, anywhere to capture real-time monitoring picture, videoand stored on the cell phone;3. receive your equipment alarmmessage and push to the software;4. ultra low bit-stream, multipicture monitoring, voice intercom, digital zoom;5. centralizedmanage all your video surveillance equipment. 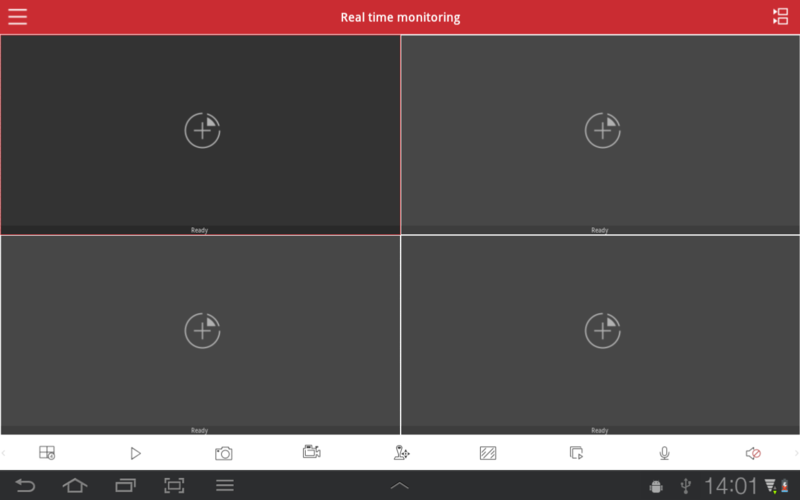 PVeye is a software to monitor real-time and playback. 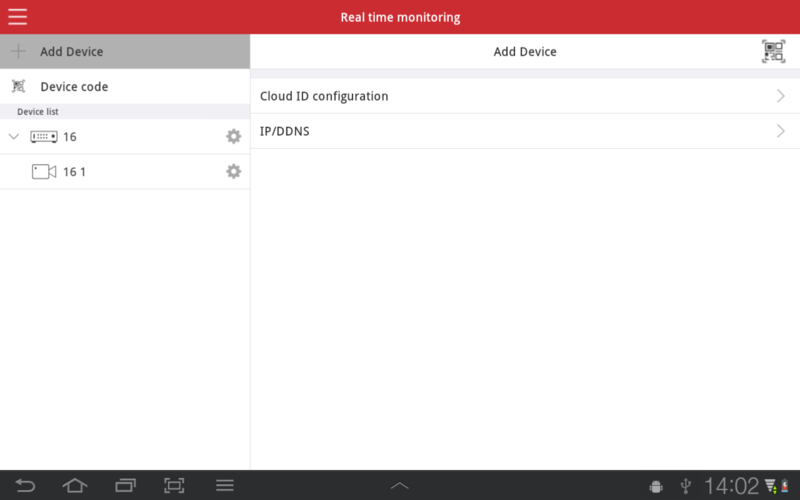 When yourPhone using a WiFi or cellular data, can access your device by thesoftware. Software main features are:1. anytime, anywhere access toyour device, you can view real-time monitoring and video files;2.anytime, anywhere to capture real-time monitoring picture, videoand stored on the cell phone;3. receive your equipment alarmmessage and push to the software;4. ultra low bit-stream, multipicture monitoring, voice intercom, digital zoom;5. centralizedmanage all your video surveillance equipment. MEye allows Android users to view andcontrollive video streams from cameras and video encoders. Proversionsupport more convenient settings & functions.Features include:Unlimited video on cellular and wifi.Support MultiChannel video encoder.Support for authentication.Support for Pan, Tilt, & Zoom control.Direct stream connection. No video going through 3rdpartyservers.Snapshot capability (while viewing live stream) to save toyourlocal photo gallery.Support for landscape and portrait mode.Ability to change ip address and port as desired for internalandremote users.Support history view to switch different camera IPconvenient.Support DVRs or IPCameras of different manufactures. UMDeye is a software to monitor real-time and playback. When yourPhone using a WiFi or cellular data, can access your device by thesoftware. Software main features are:1. anytime, anywhere access toyour device, you can view real-time monitoring and video files;2.anytime, anywhere to capture real-time monitoring picture, videoand stored on the cell phone;3. receive your equipment alarmmessage and push to the software;4. ultra low bit-stream, multipicture monitoring, voice intercom, digital zoom;5. centralizedmanage all your video surveillance equipment. 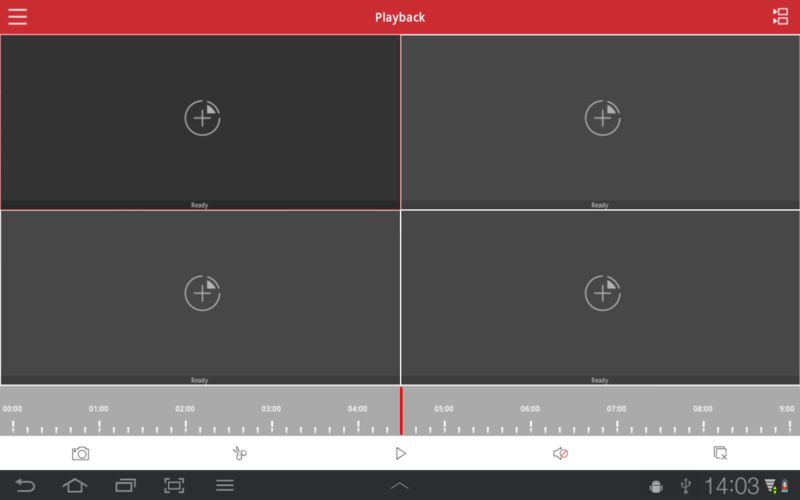 ATCLOUDER is a software to monitor real-time and playback. Whenyour Phone using a WiFi or cellular data, can access your device bythe software. Software main features are:1. anytime, anywhereaccess to your device, you can view real-time monitoring and videofiles;2. anytime, anywhere to capture real-time monitoring picture,video and stored on the cell phone;3. receive your equipment alarmmessage and push to the software;4. ultra low bit-stream, multipicture monitoring, voice intercom, digital zoom;5. centralizedmanage all your video surveillance equipment. myxview is a software to monitor real-time and playback. When yourPhone using a WiFi or cellular data, can access your device by thesoftware. Software main features are:1. anytime, anywhere access toyour device, you can view real-time monitoring and video files;2.anytime, anywhere to capture real-time monitoring picture, videoand stored on the cell phone;3. receive your equipment alarmmessage and push to the software;4. ultra low bit-stream, multipicture monitoring, voice intercom, digital zoom;5. centralizedmanage all your video surveillance equipment. Mipcview is a software designed for VRCAM to monitor real-time andplayback. 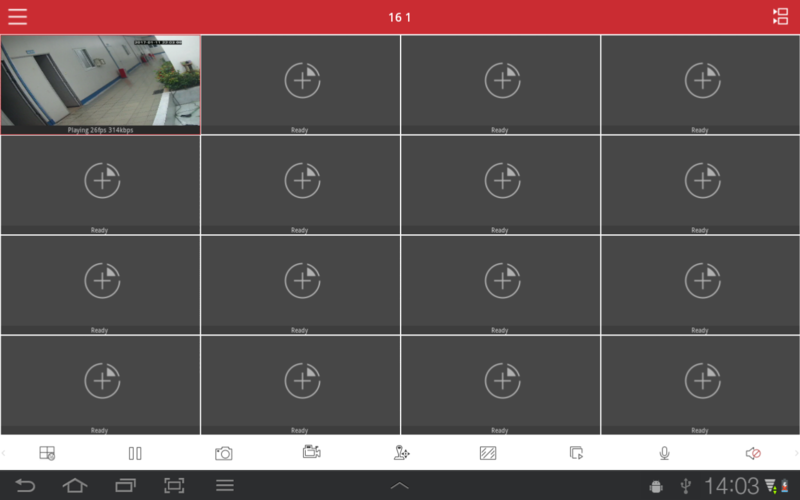 When your Phone using a WiFi or cellular data, can accessyour camera by the APP. Main features are:1. anytime, anywhereaccess to your device, you can view real-time monitoring and videofiles;2. anytime, anywhere to capture real-time monitoring picture,video and stored on the cell phone;3. receive your equipment alarmmessage and push to the software;4. ultra low bit-stream, multipicture monitoring, voice intercom, digital zoom;5. centralizedmanage all your video surveillance equipment. Android Phone Surveillance Software gDMSS Lite, Android PhoneRemote Surveillance Software, Support Remote Suveillance and PTZControl. gDMSS Lite is the lite version of the gDMSS Plus. Provision Cam 2 was created to work with the new Ossia OS byProvision-ISR. The application is a professional mobile client,designed for remote live-view, playback and configuration. It iscompatible with all devices running Ossia OS as well as olderdevices running v3.4.3 and up. Devices running v3.3.0 was testedand working, but might have some limited features or connectivityproblems. Older devices were not tested.----------------2019-01-29--------------- 1) Removed App brightnesscontrol. 2) Added Privacy Statement 3) Translation and languagefixes 4) Improved P2P connection 5) Improved UI 6) Stabilityimprovements. 7) Minor bug fixes. Sricam is a free App which is customized for Sricam Wi-Fi IPcamera. It applies advanced network transmission technologyCloudlink P2P, which makes remote monitor and video call easierthan ever before. It offers you a best choice to keep an eye onyour family and friends anytime, anywhere. 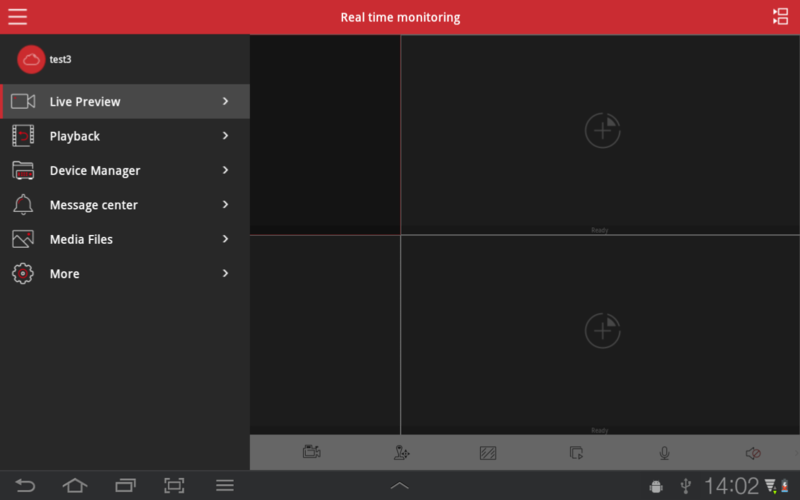 ZOSI VIEW is a software to monitor real-time and playback. Whenyour Phone using a WiFi or cellular data, can access your device bythe software. Software main features are:1. anytime, anywhereaccess to your device, you can view real-time monitoring and videofiles;2. anytime, anywhere to capture real-time monitoring picture,video and stored on the cell phone;3. receive your equipment alarmmessage and push to the software;4. ultra low bit-stream, multipicture monitoring, voice intercom, digital zoom;5. centralizedmanage all your video surveillance equipment. The Amcrest View Pro app was specifically designed for our AmcrestIP Cameras, HDCVI DVRs, and NVRs. Watch your cameras live usingyour Android device! As a leader in the home security space,Amcrest offers products to help you and your loved ones feel safe,no matter where you are. With the Amcrest View Pro app, it's simpleto check in on what you care about, from anywhere. With fashionable design and attractive apperance, it providesvarious features, such as video monitoring, motion detection,automatic accident alarm, full-duplex speech, infrared control, andetc. It can be widely used in home security, remote caring ofchildren and elders. It also can be a Intelligent home appliancescontrol center to provide a high standard, high efficiency of homehelp any time. Clever Dog -- Exclusive electronic housekeeper, makeyour life easier and funnier.